Riding a bicycle has never been safer than it is today. Unlike just a couple decades ago, we now have improved safety gear, motorist awareness, and uniformity of laws. In fact, all fifty states require cyclists to obey the same laws when riding on state and federal roadways as motorists do. Many states enact publicity campaigns aimed at motorists that make them aware of the necessity of safely sharing the road with cyclists. Bike lanes have made it increasingly safe and practical for commuters to choose cycling instead of driving. However, despite these advances, bicycling accidents still occur on a regular basis and many of them are serious – even fatal. Los Angeles bicycle accident attorneys will tell you that following good safety tips can mean the difference between a serious accident or one where the cyclist stands up and walks away. 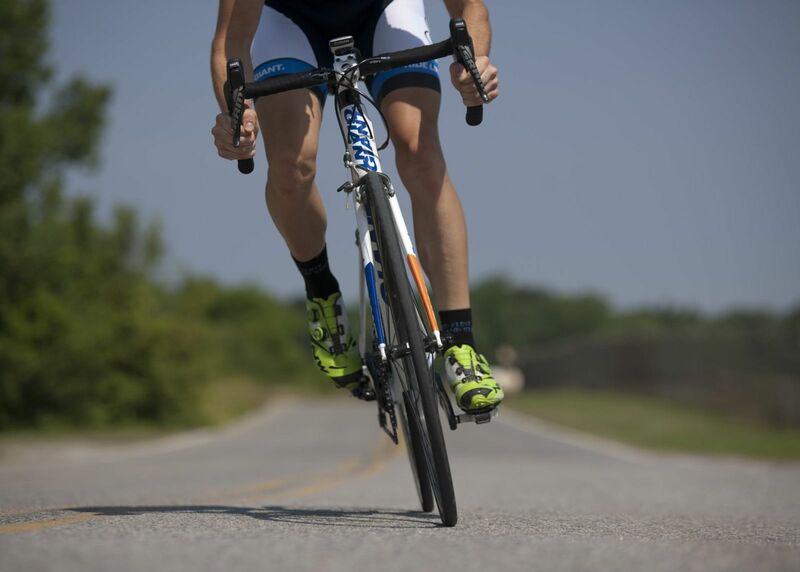 Since our attorneys see many cyclist accidents throughout the year, we have compiled a list of some of the very best riding tips and rules of the road for safe cycling, as well as tips on what to do if you’re in a bicycle accident. Please keep these in mind when you are on your bicycle, and ride safe. Perform a Bicycle Safety Check – Visually inspect your tires, chains, brakes, gears, pedals, and other parts of your bike prior to each time you get on it. Wear a Helmet – Never ride your bike without a helmet. When fatal bicycle accidents occur, it is normally a head injury. Always protect the most important and vulnerable part of your body. Put on Reflective Clothing at Dawn, Dusk, and Evening – The most dangerous times to ride are at dawn and dusk. Having reflective clothing or reflective patches on your helmet and bike can make all the difference. Use Bike Paths Whenever Possible – Many Southern California communities have designated bike paths. Whenever they are available, stick to the path to stay safest. Think and Act Like a Motorist – When you are riding your bike on the road, you have the same rights and obligations that a driver of a motor vehicle has. Obey all traffic laws and yield to cars and pedestrians just as a motorist would. Stay Alert – Riding a bike can be enjoyable and relaxing, but when you are riding in traffic you must stay alert at all times and not let your mind wander. Remember, unlike the motorists around you, you do not have a steel cage protecting you. Move Away from Traffic – If you are able, move yourself out of the danger of traffic as quickly as possible. Do not check on your bicycle and certainly do not attempt to take it with you to safety, even if it appears undamaged. The bike is replaceable – you are not! Call 911 – Even if you are unsure of the extent of your injuries, it’s important to have a police record. Some injuries can be difficult to see or notice – such as internal bleeding – or take time to develop. Get Insurance and Contact Information from Anyone Involved – Even if you believe the crash was minor, always exchange contact information with anyone involved in the crash. Get license plate numbers of any vehicles, especially if the drivers refuse to give you their contact information. Take Photographs – If you are able, use your cellphone to take photographs of the accident scene and any injuries. If you do not have your cellphone on you or it is broken, ask to borrow someone else’s and then text the photos to your own number. The Los Angeles bicycle accident attorneys at Steinberg Injury Lawyers are waiting to help if you or a loved one has been in a bicycle crash. To get more information and a free consultation of your case, simply call us at 800-989-6385. Attorneys are waiting to help.